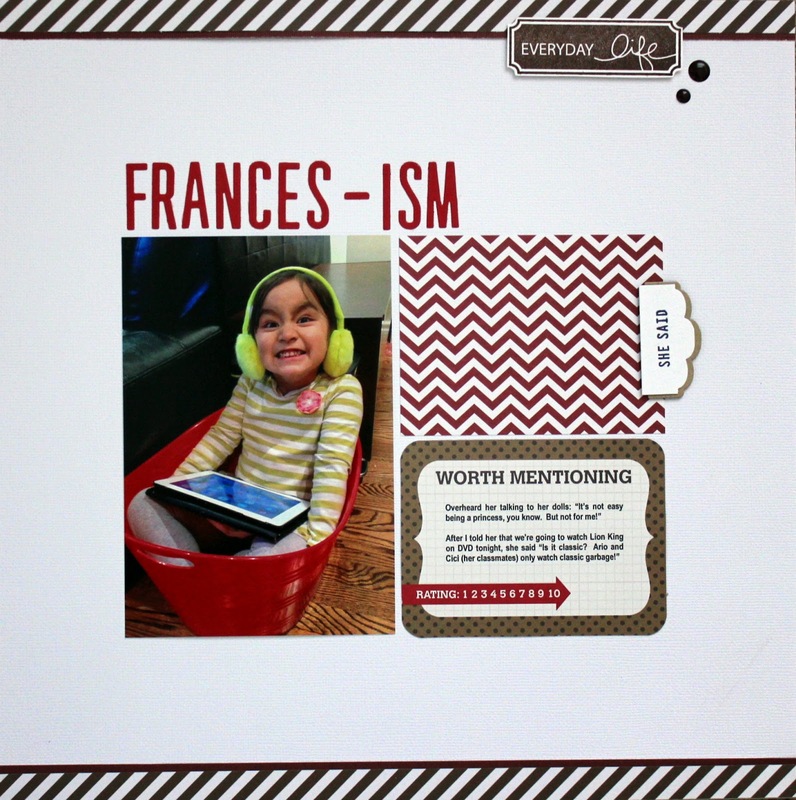 This is probably the last Frances-ism layout I have on my stash that I have not shared with you yet. The silly photo shows her attempt to fit into one of our laundry bins while sporting her neon-coloured ear muffs. This was one of those random days she was at home over the Christmas break, lol. I used Papertrey's Headline Alphabet and journal tab dies, Project Life cards and an Technique Tuesday stamp. I finished it off with some MME enamel dots and Simple Stories paper. Darling! Love the title. Your everyday Life label is perfect. Heeheehee ... She sounds like a 10 to me! Love this layout, Irma; it really lets that totally adorbs photo shine! Oh my goodness...you have me laughing out loud! 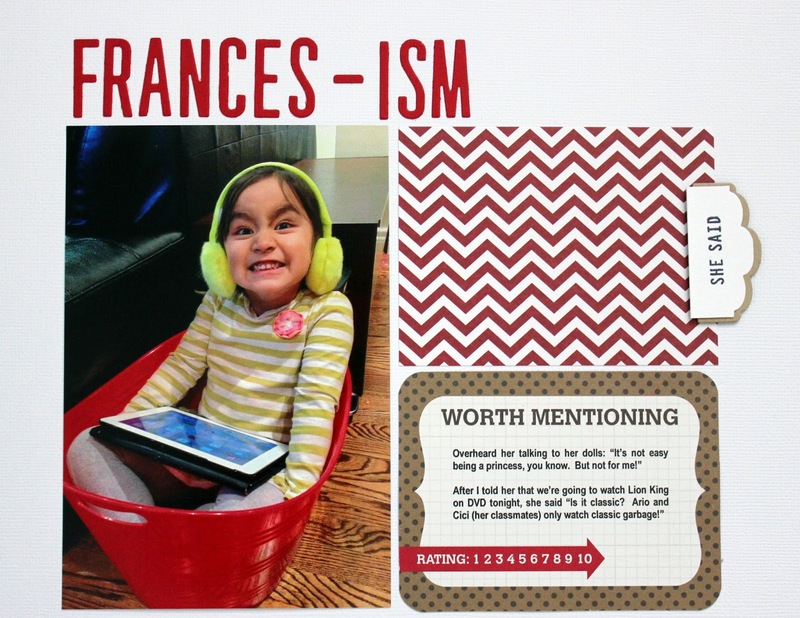 Your sweet Frances is something else...how do you keep a straight face???? I love your layout...fabulous! Love the layout and of course that sweet photo!!! Hello Irma...I was thinking about you today and thought maybe I missed some of your posts but when I saw this was your last one I started to worry and pray that you are your family are all well. Take care and hope to see you soon! Sending hugs your way.